South Boston Waterfront hotels put you right in the middle of Boston's most sizzling neighborhood, which includes the Seaport District along the Harbor and the Fort Point area between Fort Point Channel and the Massachusetts Convention Center. All of these hotels are convenient to the Convention Center, the Black Falcon Cruise Terminal (aka "CruisePort"), and popular concert venue Blue Hills Bank Pavilion, as well as the many other attractions and businesses in this area. Look for a wide variety of amenities designed to attract business and leisure travelers: spacious guest rooms, rooftop bars with great views, cutting edge design, recreational facilities such as indoor atrium swimming pools, and exciting public spaces. 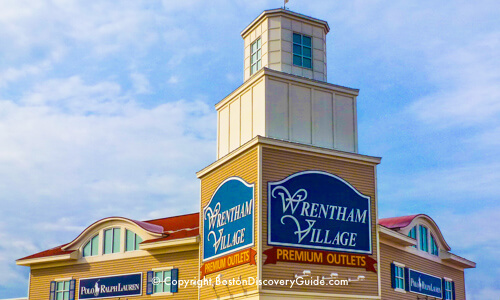 Best of all, you're only 5-10 minutes from Boston Logan Airport by cab or water taxi, plus all the neighborhood's trendy restaurants and nightlife, museums, art galleries, and boutiques are at your doorstep. Seaport / South Boston Waterfront hotels attract four main types of visitors: attendees at Boston Convention Center events, vacationers departing from/returning to CruisePort, business travelers visiting the biotech, financial services, and other companies in the Seaport District, and leisure travelers taking advantage of the neighborhood's many attractions as well as easy access to Downtown Boston. 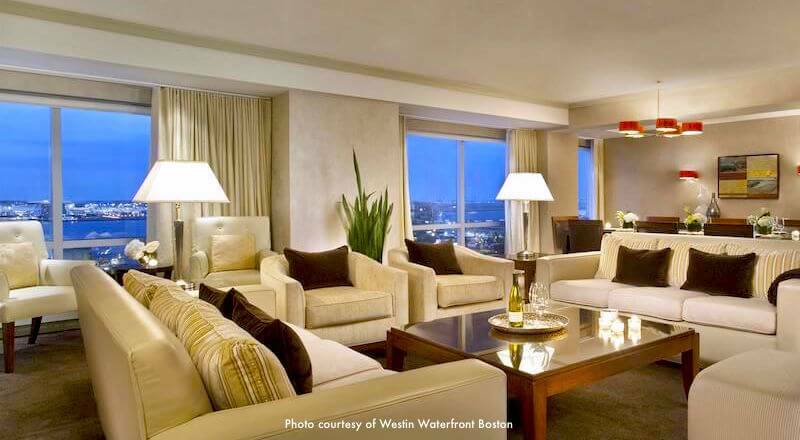 Hotels closest to the Convention Center include the Westin Waterfront, with direct access, and the Aloft Boston Seaport and Element Boston Seaport (both by Marriott) across the street. If CruisePort is your destination, the Renaissance Waterfront is closest, although the Westin is only slightly farther. The Seaport Boston Hotel is a long-time favorite of business as well as leisure visitors, but the newer Envoy, YOTEL, and Residence Inn also offer a lot of convenience, comfort, and easy access to nearby attractions. If you're looking for lower rates, check out YOTEL, Aloft, and Element. Traveling with your family? 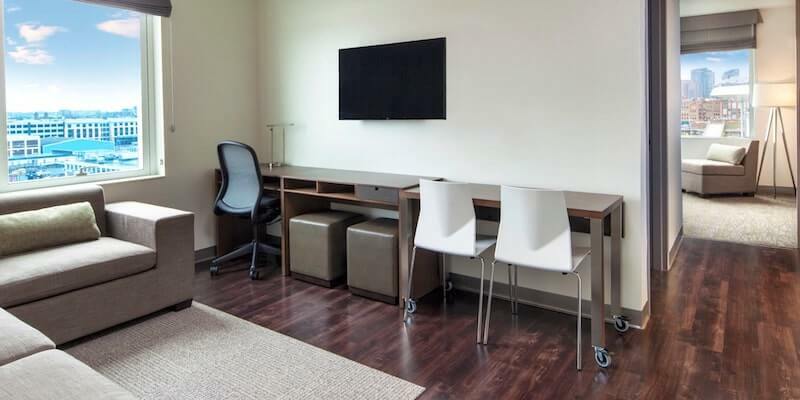 The suites and studio suites at Residence Inn and Element will give you extra space as well as the convenience of a kitchen. The Westin Boston Waterfront connects directly to the Boston Convention and Exposition Center (BCEC) through a sky tunnel. If you're attending an event at the Convention Center, the Westin will be your most convenient choice. As a bonus, the Westin even boasts an onsite comedy club, Laugh Boston. A Silver Line transit stop in front of the BCEC gives you easy access (5 minutes or less) to Boston's South Station and Downtown Boston. Alternately, you can easily walk there (8-10 minutes). Yotel Boston offers something different: luxurious but super-compact rooms (Yotel calls them "cabins") giving guests everything they need and nothing they don't combined with a club-like lounge, a rooftop terrace with a restaurant and bar, and an excellent location in the heart of the Seaport district - all at a very affordable price. Since the hotel is directly across from the MBTA's Silver Line Courthouse stop, you can easily take the "T" directly to and from the airport - or opt for a water taxi. Need more space? Larger (and pricier) cabins and even 2-room suites are also available. The 6-floor Envoy Hotel offers sleekly elegant decor, water and city views, and a couple of amenities that set it apart from other nearby hotels: The Lookout, a rooftop bar offering small bites and cocktails, and complementary bicycles to enjoy during your stay. The hotel's Fort Point location puts it right in the middle of this artist-friendly neighborhood's fine dining options, and just a short walk from the Children's Museum, the Boston Tea Party Museum, and art galleries. 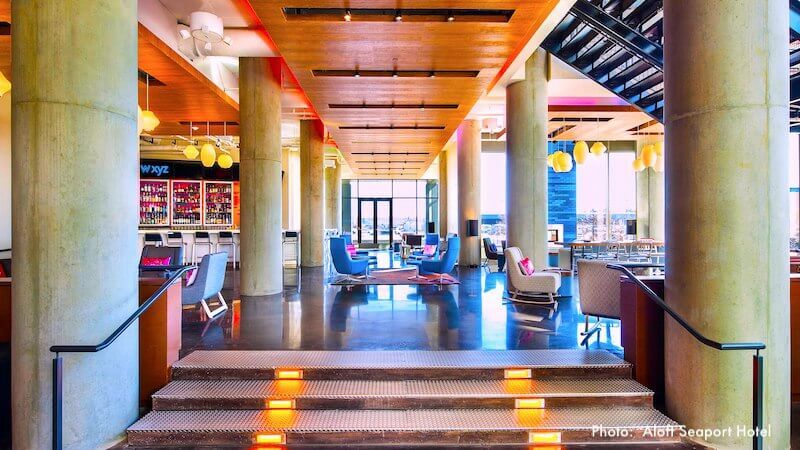 A mix of comfortable guest rooms, light-filled public spaces, and a convenient location next to Boston's Convention Center makes the Aloft Boston Seaport an easy choice in this neighborhood. 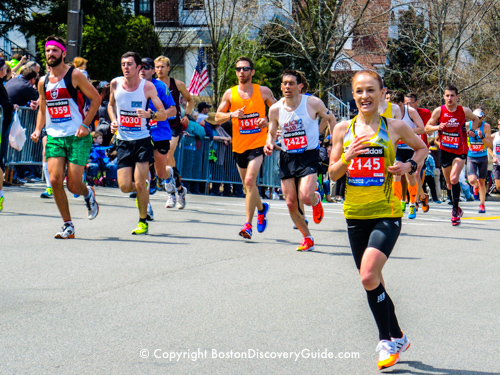 You're just a short walk to Seaport restaurants, nightlife, and cultural attractions - or hop on the Silverline to the Downtown Financial District, Freedom Trail, and other Boston attractions. The Aloft is also close to CruisePort. Located across the street from the Boston Convention and Exhibition Center, the Element Boston Seaport Hotel offers a mix of guestrooms, studio suites, and suites, all sporting comfy pillowtop king beds and fully equipped kitchens. 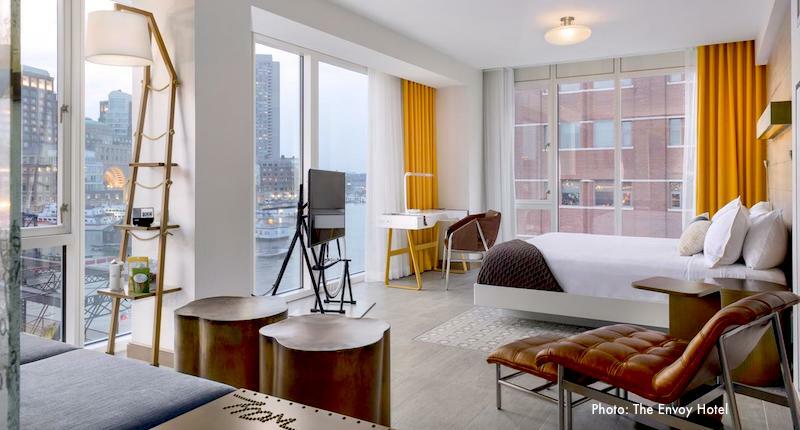 Like its Marriott Aloft sibling next door, the Element is close to the Black Falcon Cruise Terminal, restaurants overlooking Boston Harbor, and other Seaport District attractions such as the Blue Hills Pavilion, home to many of Boston's top summer concerts. 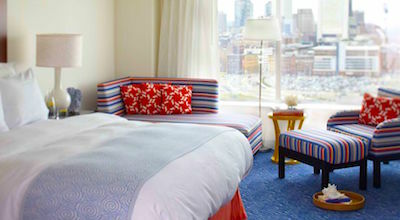 With 18 floors soaring high over the harbor, Seaport Boston Hotel gives you terrific water views as well as the convenience of connecting to the World Trade Center, home to many events such as the annual Flower and Garden Show. Spirit of Boston lunch and dinner cruises depart across the street from the hotel. ICA (Institute of Contemporary Art), the Boston Children's Museum, and Blue Hills Bank Pavilion are all just a short walk away. 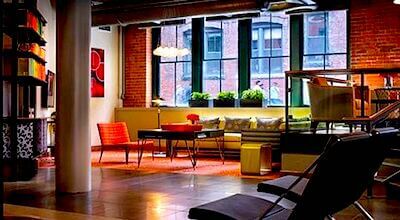 Comfortable accommodations and fun public spaces provide all of the comforts of home at the Residence Inn Seaport. However, this Marriott Residence Inn offers a twist: its 120 suites and studios occupy a former 6-story red-brick firehouse. With 12 foot ceilings, glass elevators, and lots of firehouse artifacts, you can enjoy the unique historical space whether you are here just overnight or for an extended stay. 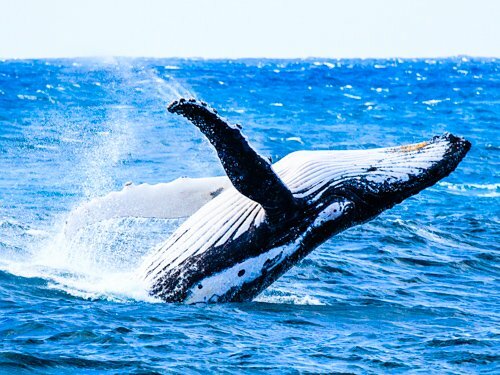 Enjoy the complimentary breakfast - and the convenient location near museums, the Boston Tea Party Ship, the Spirit of Boston harbor cruise ship, and of course the neighborhood's lively restaurants and nightlife. Renaissance Waterfront Hotel offers the same mix of high-end business hotel amenities as the other hotels in the neighborhood, which means you'll have a very comfortable stay. Like the Seaport Hotel, the Renaissance is only a block or two (depending on how you count) from the BCEC, as well as being close to all the other neighborhood attractions. Which Hotel Should You Choose? With a variety of excellent hotels to choose from in the Seaport District / South Boston Waterfront neighborhood, how do you pick one? What if none of these factors apply? Make reservations in whichever hotel offers the cheapest rate. - which will often be YOTEL, proving that being hip and stylish doesn't have to flatten your wallet. 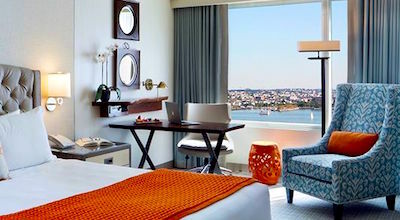 While none of these hotels is directly on the waterfront, you will get expansive Boston Harbor views from upper floors of the Seaport, Westin, Envoy, Renaissance, and others, depending on your room's location. If you want a water view, be sure to request it when making reservations. Ditto for a city skyline view. With conventions, business visitors, CruisePort, the Blue Hills Bank Pavilion, and a sizzling nightlife scene creating huge competition for reservations at the Seaport/South Boston Waterfront hotels, you may try to book a room only to find that they're all full. Blue Hills Bank Pavilion - Where to find the best summer concerts in Boston!